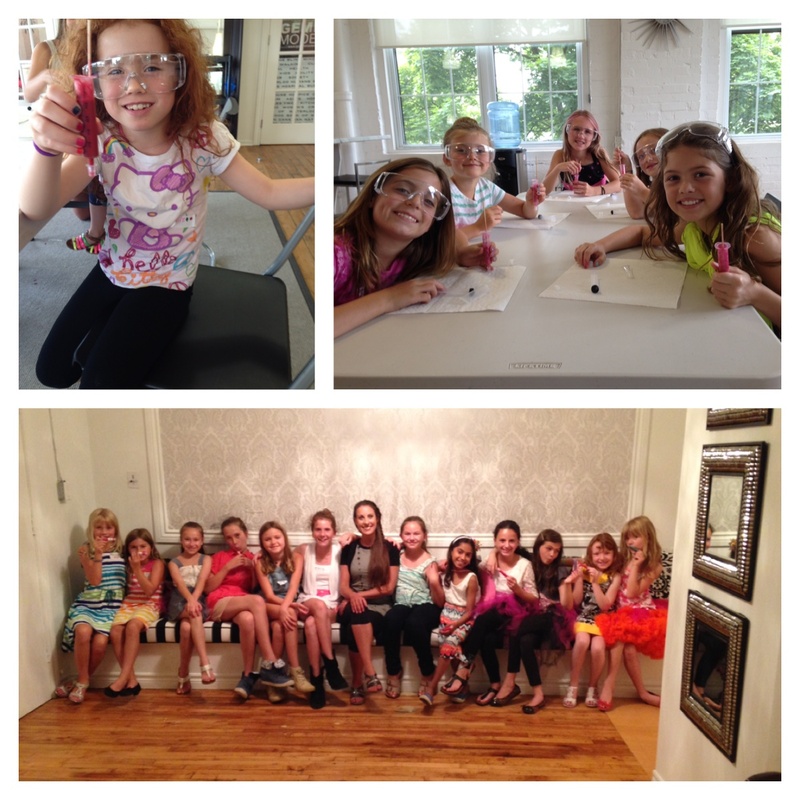 GEMINI Summer Camp is a one-of-a-kind Girl School designed for girls Ages 5-16. Since GEMINI was founded over 30 years ago, we have inspired thousands of girls in both our Summer Camps and in our Full Year Programs. GEMINI has helped spread smiles in every shape and size. Check out some of the ‘Insta-memories’ created from this year’s camps! 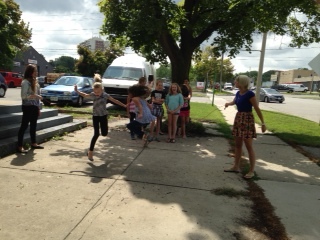 The first activity taught the girls how to walk on the runway. The girls learnt the latest Tips and Tricks of the runway. The instant they stepped on the runway you could see their confidence starting to build. By the end of the day the girls were walking around on Cloud 9 thrilled with their accomplishment of mastering the runway. 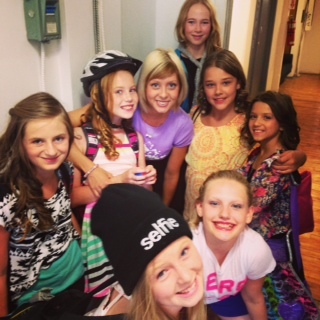 Campers were thrilled to meet Stephanie Storm, Fashion Designer and Make-Up Artist. She helped them to make their own Lip Gloss. 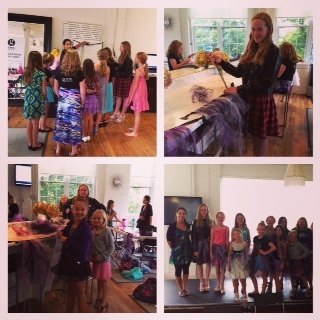 The Full Day Pre-Teen campers rolled up their sleeves and created a hand crafted and personalized Tulle Tu-Tu! 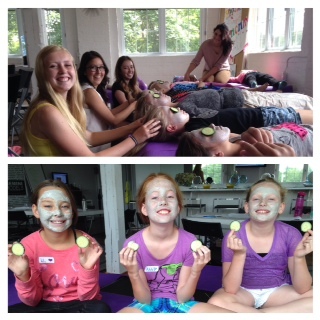 No GEMINI Camp would be complete without relaxing facials, head massages and calming clay masks with cucumbers. A great way to learn the importance of proper skin care. 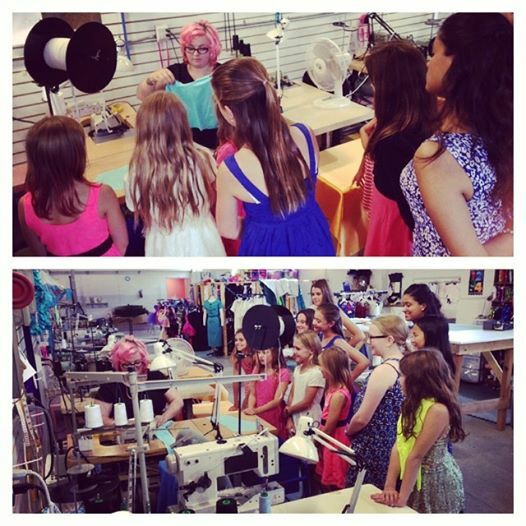 Our students were lucky to meet designer Mandy of Sweet Peach Costumes. They were able to tour through her studio and gain insight into the creative world of a designer. Some girls were able to try on some samples of items in their different stages of creation! We can’t wait to see Sweet Peach’s first line come out in 2015! The girls loved getting dressed up and doing their hair, nails and make-up however they also loved getting outdoors. Campers enjoyed the sunshine and some fun skipping. 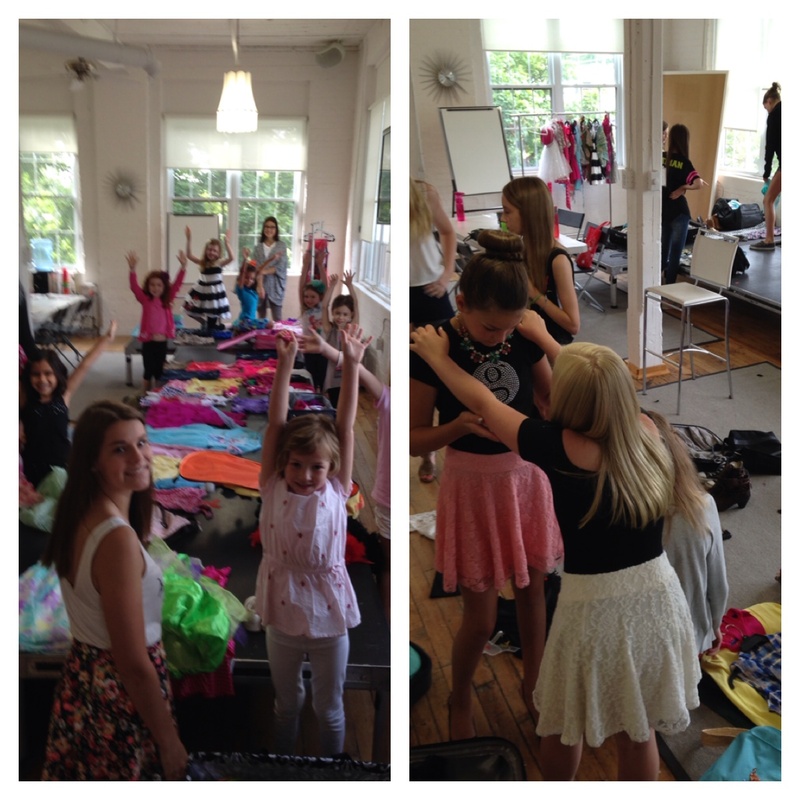 The girls loved expanding their Passion for Fashion! Using all of their new styling tips, they were given the opportunity to style their own Photo Shoot. They put together their outfit, choose their hair style, their nail colour, their make-up and last but not least their poses! 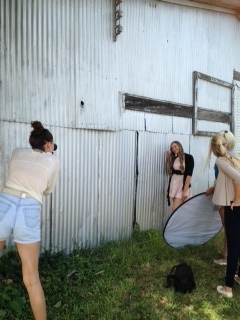 What an exciting day for the girls as they appeared as the cover model in their very own Model Photo Shoot. What could be more fun then staring in their very own Photo Shoot? Staring in their own Fashion Show of course! Fashion Show Friday is by far the highlight of GEMINI Camps. The confidence and self-esteem shown during their Fashion Show is hard to match. The girls worked as a team to develop a one-of-a-kind Fashion Show. 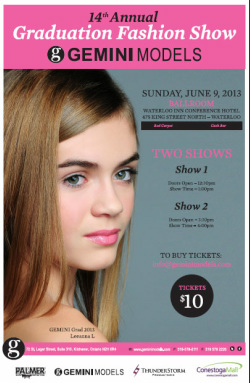 They selected music, outfits and dreamt up fun choreography to rock the runway. 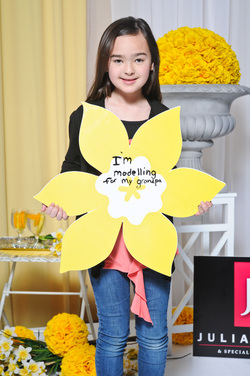 With a bounce in their step and a smile on their face, the girls put on their Fashion Show for friends and Family! At the end of the Fashion Show the girls were presented with their Photo Shoot Cover Photo! We measure success in the smiles on their faces! Needless to say our 4 weeks of campers had a blast at GEMINI Camp. Are you interested in signing your daughter up for Gemini Summer Camps? We still have 2 weeks left and a few spaces available – Check out our Website to register today! This exciting outdoor Fashion Festival will proudly showcase the shops and services of the Downtown Yonge Business Improvement Area. This is a free event to public. Fashion On Yonge – September 4th, 2013 from Amotion Films on Vimeo. Kitchener-Waterloo Oktoberfest proudly presents A Blooming Affair Fashion Show, an exciting evening featuring the latest fashions ranging from casual wear to the most elegant formal attire. A Committee of enthusiastic volunteers are planning an evening of elegance and glamour. The fabulous runway will feature outstanding selections in ladies, men’s and children’s wear from leading fashion retailers in our region. A Blooming Affair Fashion Show 2012 from Amotion Films on Vimeo. As the largest bridal show in the Kitchener, Waterloo, Guelph and Cambridge, it is sure to impress all brides & grooms! There will be fashion shows each day featuring an array of designer gowns, tuxedos and all other wedding wear. 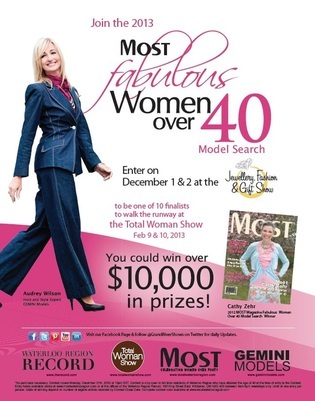 Join us October 19 & 20 for a chance to win some great door prizes and view over 100 different exhibitors! Simply click on your class day and time and it will pop up with a description of the title of the class. Be sure to refer to your workbooks for additional information. If you use google calendar you can even copy the event to your personal calendar to guarantee that you will always be prepared for all photo shoots & auditions!